In 1913 a young composer named Igor Stravinsky partnered with the renowned ballet dancer Vaslav Nijinsky to produce a groundbreaking ballet that transformed music and dance in the 20th century. Stravinsky's experimental composition combined with Nijinsky's primitive choreography was so avant-garde that there was nearly a riot on opening night. Together, their creative genius just about brought the house down. On Saturday night, MSA's SGA worked together to deliver a dance party such as the school has never seen before. While not quite as shocking as Stravinsky's The Rite of Spring, the SGA's recent spring fling dance party struck a new chord in student life. Entirely orchestrated by the student government, the spring fling provided students an opportunity to dust off their dancing shoes and cut loose on Saturday night. The party began with games, music, and dancing in the Bull Ring. 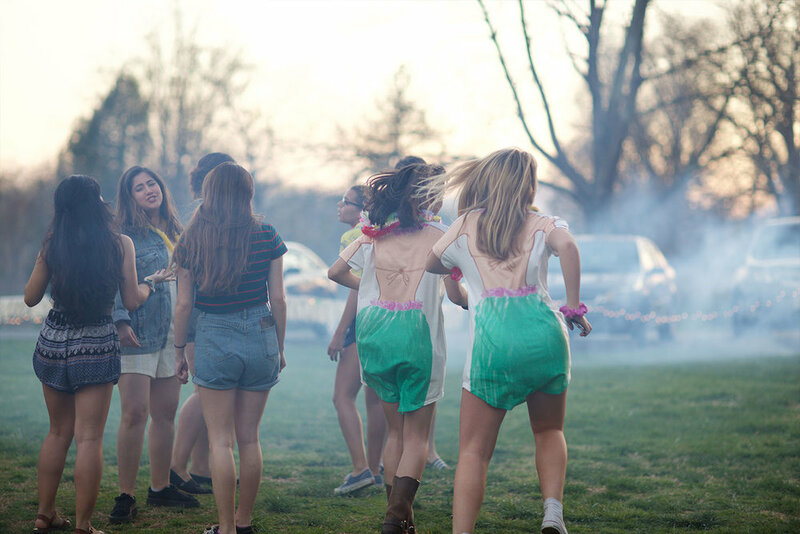 As the sun set, students turned up the music, and the outdoor dance floor heated up. From Conga lines to the Macarena, students kept the energy levels high all night. Like The Rite of Spring, MSA's Student Government has set a new standard for dance and music on the Hill. This event is one of many that the SGA has spearheaded this year. Students have seen an increase in meaningful and enjoyable activities thanks to the efforts of student leaders on campus.